Underwear is the most under-donated item in shelters, and MADI apparel has set out fix this. For all MADI intimates you purchased, they donate a pair of new, clean, underwear to a woman in a domestic violence shelter or sexual assault clinic. 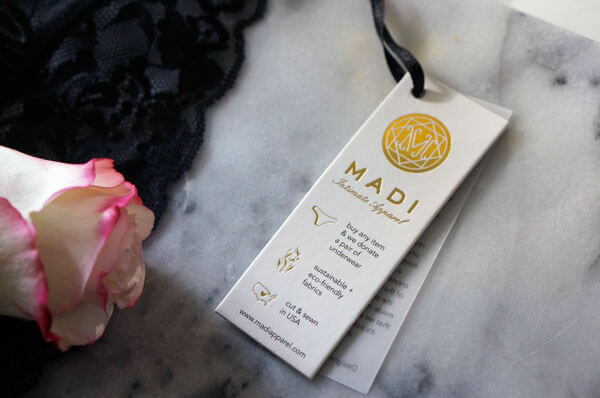 Madi Apparel has now added a new line of beautiful bralettes to their underwear line. They carry their bralettes in classic bamboo, and new luxe lace.